She’s on the run…he’s ready to catch her. Cammie’s in a bit of a situation since her mother died, leaving her with a stepfather she doesn’t know very well. When he turns to alcohol to soothe his grief, Cammie knows she’s got to leave the only home she’s ever known. She needs money and knows Zach’s got the means to provide. All she needs to do is convince him to promote her from cleaning woman to adult film star. 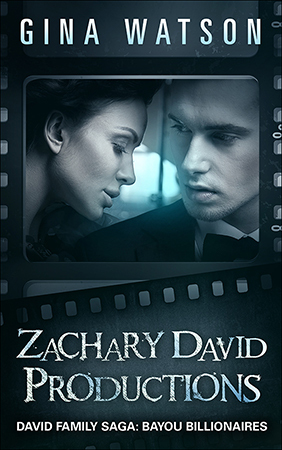 Zach’s production company is in need of new talent…someone fresh faced and innocent. Cammie would make the perfect addition to his adult catalog but the idea of her on video for millions to see doesn’t digest well with him. The temperature outside dips while the atmosphere between the sheets is toasty warm. Cammie lays on the pressure, giving Zach an ultimatum, but he’s not easily pressured and is resolved to offer her his protection and love, no matter the risk to his heart. Production is halted as love blooms in this heated novella.